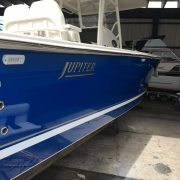 Want to have your boat looking better than factory new? Create a gloss and shine that will make everyone jealous and add a high level protection from UV, acid rain, salt, lake scum, bugs, etc. Lasts longer than wax and easy to apply. Simply spray on and lightly buff with a microfiber cloth. Works on gelcoat, paint, vinyl, stainless steel, glass, plexiglas, rubber and wood. 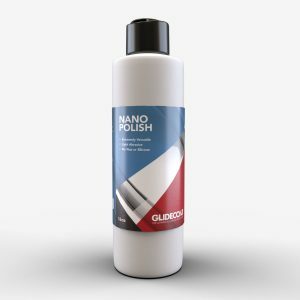 Glidecoat Marine Shine & Shield is the ultimate boat wax replacement and makes maintenance a breeze. Simply rinse with water when you return from your day on the boat. 16 oz provides you with enough product to apply up to a 30' boat. 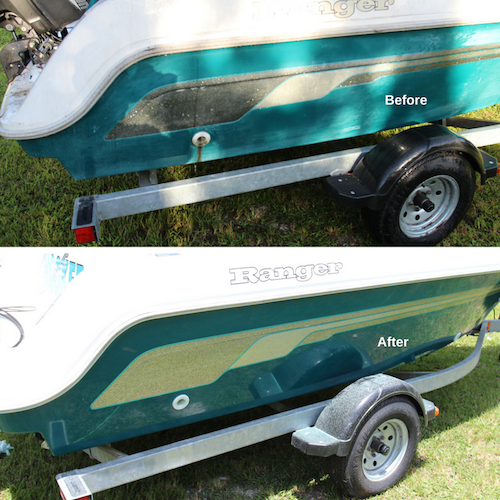 ✔️ MAKE YOUR BOAT SHINE – Our soft polymer spray on product is perfect to protect any size of boat! 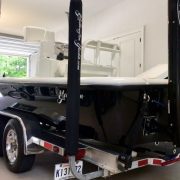 Simply spray on and wipe with a clean microfiber towel and protect your boat for up to 8 months! 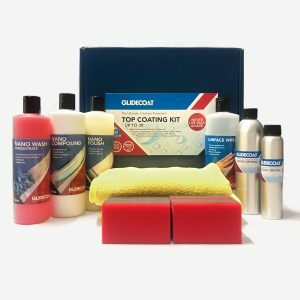 ✔️ PROTECT YOUR BOAT PAINT / GELCOAT – Have you ever returned back from a enjoyable day on the boat and spent considerable amount of time to wash away lake scum, bird droppings, leaf stains and/or salt from your boat? After applying the product on your hull, topside, glass, etc your boat will be protected from these elements and can simply wipe off! 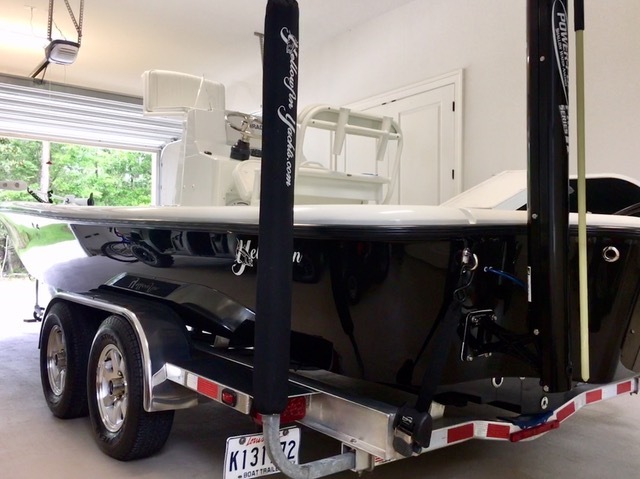 ✔️ LONGEVITY – Do you get frustrated when you either wash and wax your own boat or pay a detailer to do it for you and within a short period of time, the shine and luster is gone? We agree it is frustrating and that is why designed our product as a nano coating spray that fills in the pores and protects better than wax! 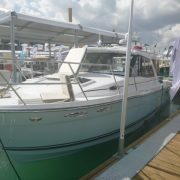 ✔️ PREVENT SUN DAMAGE – Have you ever noticed how the gelcoat / paint on older boats begin to fade and show signs of sun damage? 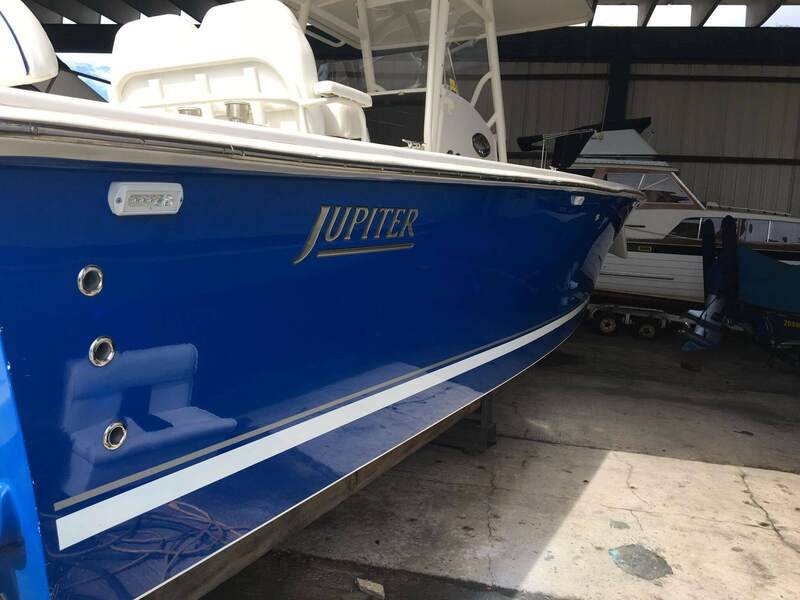 We bet, you have really noticed this on dark colored boat hulls! This is one of the major advantages to using Marine Shine & Shield because the product is actually bonding directly to the surface compared to traditional wax that simply sits on top of the surface. This spray includes UV inhibitors to eliminate UV Damage! 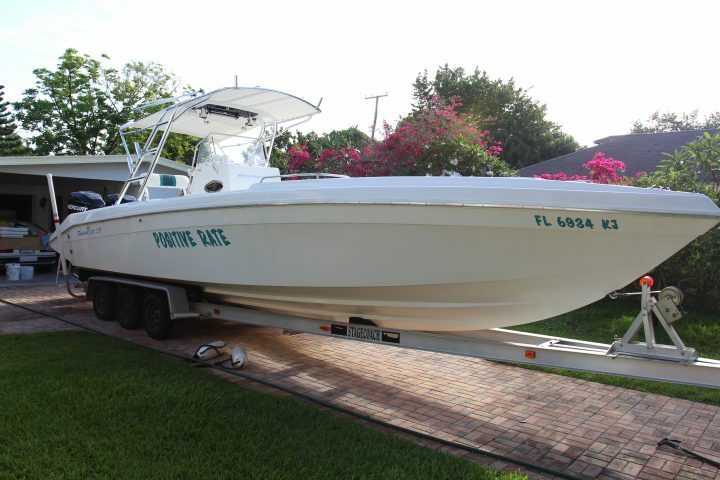 ✔️ EASY APPLICATION – Your time is important and reducing the amount you have to spend detailing your boat may be at the top of your list. With our product, you can simply spray and wipe off with a microfiber towel..Easy! Apply to one section at a time to ensure complete coverage. Do not apply in direct sunlight. Ensure surface is cool to touch allowing product to dry after wiping with a microfiber Cloth. 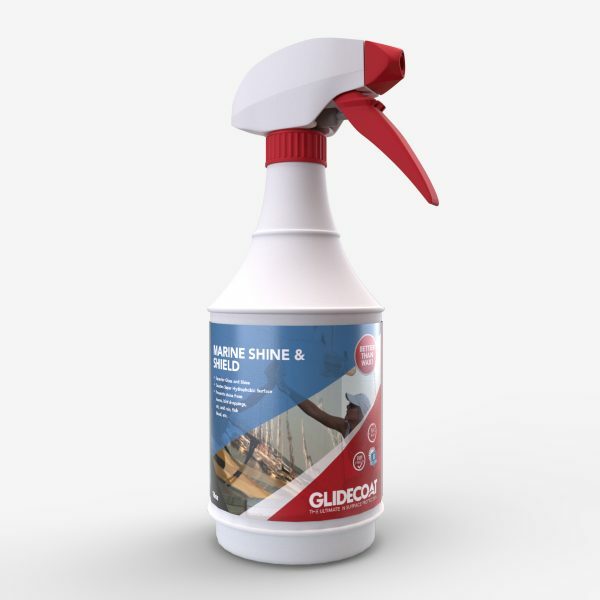 Marine Shine & Shield can be used with any other Glidecoat Maintenance products as a base or top layer. 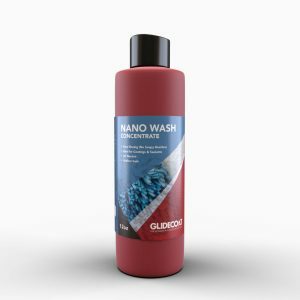 It can also be used as a drying aid by diluting between 1:2, spraying onto a wet surface and drying with a microfiber cloth. NOTE: Can be layered for increased gloss and protection. Marine Shine & Shield needs to be used within two years of the date purchased. Once opened it has a shelf life of 1 year. About one year ago, I obtained a bottle of Glidecoat Marine Shine and Shield. I was ready to prep our boat for summer 2016. I decided to try the Glidecoat. Yes, it was easy to apply, but other products can make that claim. water marks and even dark stains. The glossy shine was a added bonus. certainly recommend it to anyone with a boat. 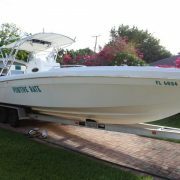 I applied Glidecoat Marine Shine & Shield on my black hulled Yellowfin and couldn’t believe the big difference on my boat! 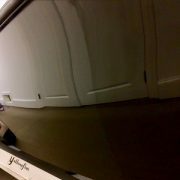 Thanks Glidecoat! I really liked how Glidecoats auto product worked so I figured I would give the marine version a try. Very glad that I did! My 19′ Boston Whaler is normally quite a mess after a day of serious fishing but now all it takes is a hose off with water and it looks spotless again. Even the bloody bait box isn’t too much of a challenge for this stuff. Easy to apply and simple to buff with a rag…I can’t see myself waxing my boat again any time soon…!!! 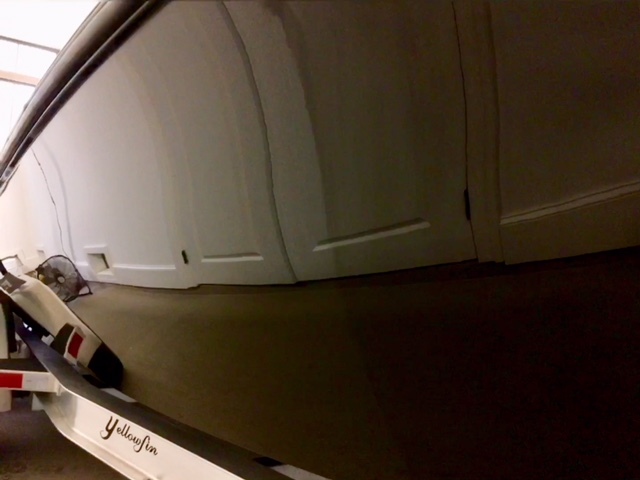 Glidecoat is definitely the way to go…. Outstanding product. Very easy to apply and the shine is incredible. 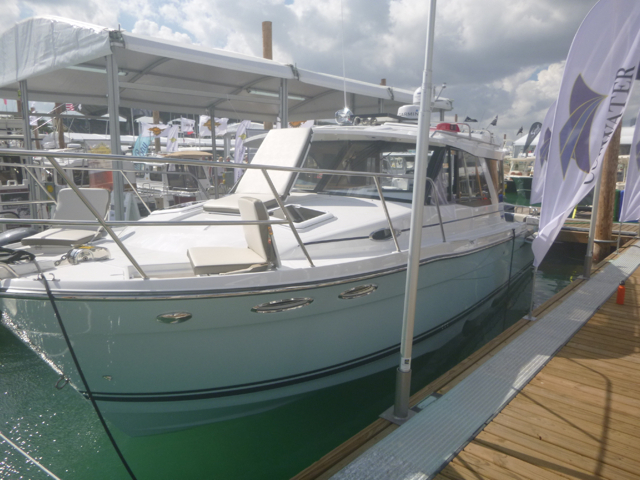 Applied in April, launched boat with blue hull, for a short New England summer, and hauled in October. Shine was as good as the day it was launched. I was so impressed that I use it on my cars too. Literally wipe on and wipe off. I highly recommend. Ease of application and effectiveness make this a winner. Works well – easy to apply and remove from your boat. Seems to maintain its protection 2 months on the water now. Top deck rails and motor covers may need reapplication after a month or two in the sun. 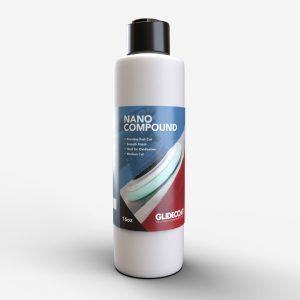 Disclaimer: Glidecoat a division of Onan Technologies Inc.’s maximum liability for or with respect to any damages of any kind to any person, property or otherwise, caused to any Customer or any other person as a result of or with respect to any proven breach of any express or implied warranty with respect to any Product; misrepresentation with respect to any Product; Product error, failure or malfunction; formula, engineering or design error; manufacturing or packaging error; labelling error; Product failure to perform; or any other act or omission of any kind whatsoever with respect to any Product, shall be limited the price paid by the Customer for the Product at the time of original purchase (not including shipping, handling, sales taxes or installation services); and Product purchase price refund shall be Customer’s only claim or remedy arising therefrom. IN ADDITION TO AND WITHOUT LIMITATION OF THE FOREGOING, GLIDECOAT SHALL NOT BE LIABLE UNDER ANY RULE OR THEORY OF LAW TO ANY CUSTOMER OR ANY OTHER PERSON FOR (A) INCIDENTAL, CONSEQUENTIAL, SPECIAL, PUNITIVE, OR EXEMPLARY DAMAGES OF ANY KIND, INCLUDING BUT NOT LIMITED TO LOSS OF REVENUES, LOSS OF PROFITS, LOSS OF BUSINESS, OR OTHER ECONOMIC DAMAGES, OR (B) ERRORS MADE IN THE HANDLING, STORAGE OR INSTALLATION OR APPLICATION OF ANY PRODUCT, REGARDLESS OF WHETHER ONAN WAS ADVISED OF, KNEW OR OUGHT TO HAVE KNOWN OF THE POSSIBILITY OR RISK OF SUCH LOSSES OR DAMAGES.